Create Your Path in a mobile browser. The other night, my flight was delayed. I had time in the terminal and found myself in the mood to learn, develop, and work on strategizing to create my own path in life. Yes, I am a leadership geek. Thanks to my smartphone I could. 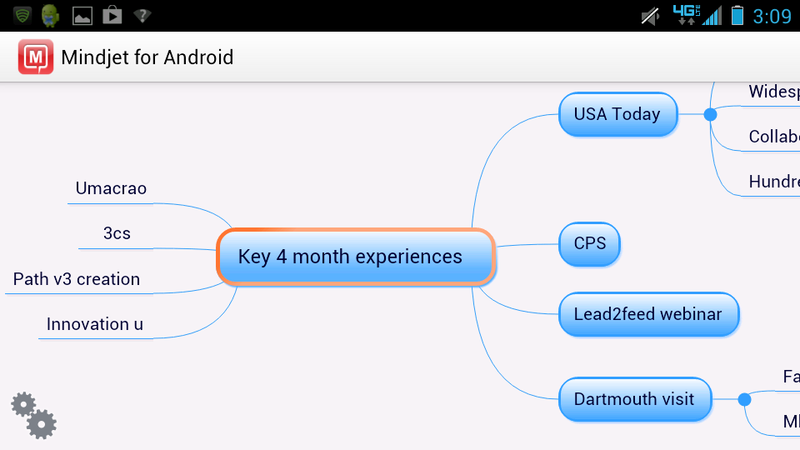 I watched a Create Your Path video, scrolled through the visual slides to see the activities, and created a mindmap of my 10 key life experiences from the past 4 months so that I could brainstorm more of them to go after for the future. 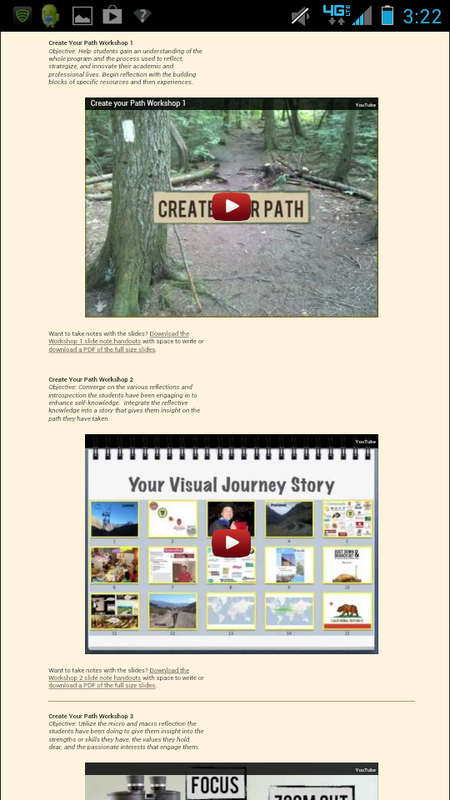 I could do all of this because Create Your Path was designed to work on a mobile device. When you have that rare moment of time and are in the mood to strategize, you want to be able to do it from wherever you are at during that moment. Since starting work on the Create Your Path program (we are now on our third version of the program at Dartmouth), I’ve been hearing more and more from students, educators and professionals that they have less time for new programs. They still want to participate, but aren’t sure how they can fit it into their schedule. Well, we’ve come up with a solution for you! With a few updates, we have integrated existing mobile technology and made Create Your Path into the first MOBILE Leadership Program of its kind. It is simple to use, too, and allows you to learn and develop your life path on the go. With Create Your Path, we’ve made it easy to take advantage of those moments of downtime you have when waiting in line, riding the bus, etc. You can do Create Your Path whenever you have time – no need to move around your busy schedule. Also, we know the real learning comes from conversations you have with other people. Your mobile device will allow you to have the program activities and visuals on hand to have these conversations when the opportunity arises. You can also meet with your program team anywhere…even while walking. 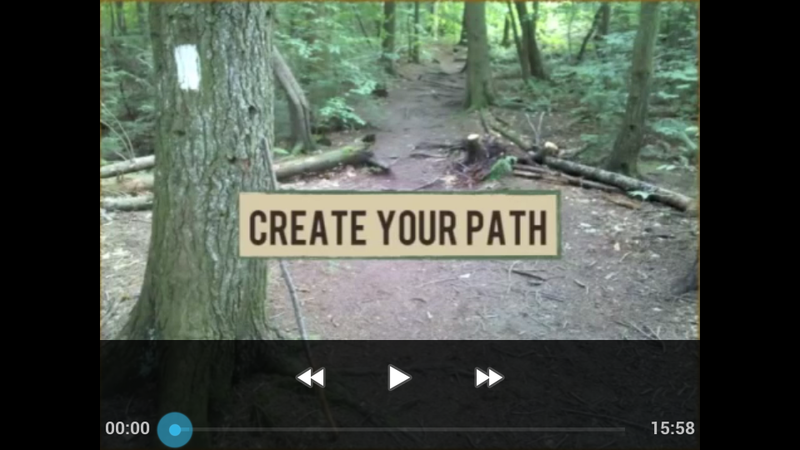 Watching a Create Your Path video module on a smartphone. The mobile experience of Create Your Path works perfectly on smartphones, tablets, and almost any other kind of mobile device you can think of. The program is presented through a series of videos on one page that are easily viewed on your device. Additionally, we’ve made all of the slides and activity sheets available for download, making it incredibly easy to scroll through as you work on the the program. Perhaps one of the best features of this mobile program is that you can now more easily than ever share your progress with friends, family, and other participants. Go through the slides and activity sheets with those around you. Show them the visuals, have conversations about the insights you gain, and share with them what you journaled about, what resources you listed, etc. 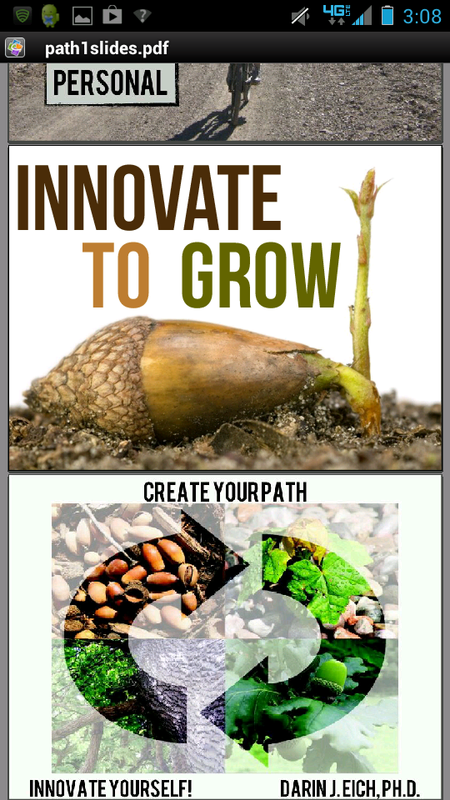 The program is designed to leverage excellent free mobile apps to help you create your own path in an innovative way. Google’s Play Store, The Apple App Store, and other digital marketplaces provide great free apps that can help you successfully complete the many activities of the Create Your Path program on your smartphone. Below, I’ll list a few of the ones I’ve been using for the program. Do you know of any others that could help? Share them in the comments below. This excellent visual thinking app lets you capture and organize your thoughts, which is perfect for Create Your Path’s mind mapping activities. It is a different and more visual way to list and show how things connect. This popular app “turns your device into an extension of your brain.” Use it with Create Your Path to quickly capture ideas whenever they may come to you, further expanding the flexibility of the mobile program. You can even record and transcribe audio notes. This is an innovative way to journal as well. Take screenshots of things you find on the web that relate to your program. 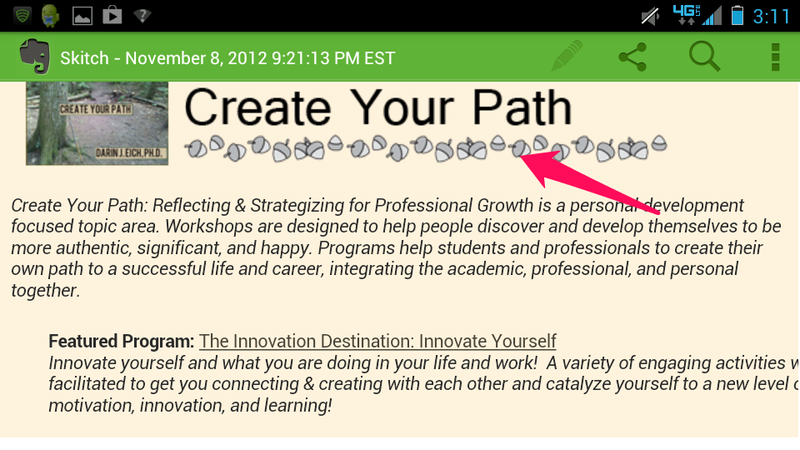 Skitch also integrates into Evernote, allowing you to make notes and draw on the images you capture, creating unique artifacts as you work your way through Create Your Path. This app will help you to “show and tell” your story. When we design programs, we want to root down in what has worked in the past (interaction, activities, real projects, reflection, feedback, etc.). We also want to branch out into what will work for the future. Smartphones, tablets, and our mobile devices can be used to make learning, development, and leadership happen whenever, wherever, and with whomever. It is a true innovation for education and professional development. We’ve built Create Your Path – and Program Innovation as well – to seize this opportunity, so that there will be minimal time and location barriers getting in the way of people learning, developing, leading, path creating, and innovating!